PRAISE FOR LESLIE AND HER WORK. "Leslie's professional expertise and guidance is second to none. We have revitalized our cafe system and offerings to rival the best of sports franchise nutrition based cafeterias." "Leslie understands the football player's need to succeed and was able to communicate sports nutrition strategies with knowledge, humor and practicality to win players' trust and attention." "Leslie Bonci is the ULTIMATE nutrition expert. Not only is her knowledge absolutely amazing, she knows how to deliver it so everyone understands. She's professional, well spoken, fun to interview and her content is second to none. Love working with Leslie during the KDKA Afternoon News segment every Monday!" "Leslie is my go-to source for all things nutrition. She’s smart, quick, and best of all knows how to deliver her message in digestible, memorable, quick hit bites that readers can remember and relate to." "When I am struggling to understand the latest study about diet and nutrition, I often turn to Leslie. She understands the detailed science of the research, but provides insight in simple, relatable soundbites, which help any reader understand even the most complex details. And, she has a delightful sense of humor, making her quotes as entertaining as they are informative." "I've had the pleasure of working with Leslie Bonci for more than a decade. She is one of my favorite registered dietitians to work with because of her fun, straightforward and creative hands-on approach. She lives and breathes what she teaches her clients and professional athletes every day. Leslie brings fresh thinking, a tremendous amount of energy and deep expertise in sports nutrition and on-trend recipe ideation. She also easily translates the science to practical applications which resonates with everyone." "Leslie offers cutting-edge nutritional information in a way that real athletes can put to use in their daily lives to improve their performance and health. She's the best in the business. " "Leslie is always such a pleasure to work with. She adds joy and creativity to her professionalism, making her a superb partner for effectively communicating healthy eating advice. Her nutritional expertise and integrity are undeniable, but it’s her passion and personality that make her audiences love to engage with her messages. " 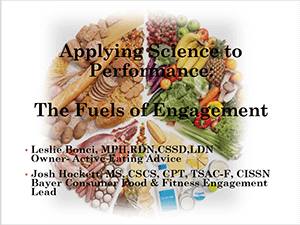 "I have had the pleasure to work with Leslie Bonci for over a decade and can say with confidence she is a true expert in the field of sports nutrition "
"Leslie Bonci is an energetic speaker, who captivates the audience with her knowledge and passion for nutrition. Leslie is a true pleasure to work with! " "On behalf of the students, staff and faculty of the U.S. Army War College (USAWC), thank you for the exceptional presentation you provided on, Strategies to Eat Well, Be Well, and Stay Well. As you know from your continuing support to our program, one of our primary goals is to reinforce the important role of health and fitness for our senior leaders and those they lead. As an internationally-renowned expert in health, fitness and nutrition, your timely, thought provoking message on “Strategies to Eat Well, Be Well and Stay Well” was hugely successful and served as a tremendous motivation for our resident students, staff, faculty, and their families. It is very clear from the many comments that we have received that your presentation was powerfully inspirational. Your enthusiastic style, your incredible level of subject-matter knowledge and expertise strongly resonated with our students and their spouses. Both I and other members of our Team have received many comments from students about how they and their families are already making lifestyle changes as a direct result of the information you provided. We cannot begin to thank you enough for your continued support to our program and to our students." "Leslie plays an integral part in our athletics program at Carnegie Mellon University. She not only educates our student athletes on proper nutritional habits, she also teaches them how to prepare healthy snacks and meals. Our student athletes value and appreciate her knowledge and expertise in the field of sports nutrition." "I have worked with Leslie for over 10 years and can’t stress enough the significance of having a sports dietician to educate our athletes and staff on the importance of nutrition and its affect on performance. With a lengthy baseball season it is essential for our players to have an understanding of what fuel their bodies need for practice, games and recovery. Her knowledge and passion are evident in her work with our players and they have benefited greatly." "Leslie is the founding director of Luminari’s Camp Delicious! — a summer camp for teens that focuses on the enjoyment of food and cooking. Leslie capably and enthusiastically brought the concept to life in 2014 by developing a fun-filled, substantial and dynamic curriculum. Every summer since then, she resourcefully assembles a dream team, engages talented guest chefs to demonstrate and leads field trips to local farms.Encouraging an open mind on new tastes and ingredients from diverse cultures, she ensures that the camp aligns with Luminari’s mind broadening mission and provides a nourishing and delicious experience for all!" "Over the years, Leslie Bonci has become one of my favorite experts on all things related to diet and nutrition. Not only is she incredibly knowledgeable about the science of nutrition, but she also has an amazing ability to translate it into pithy, relatable messages that resonate with real people. Her advice is always spot-on and creatively expressed, and I appreciate how promptly she responds to requests for interviews or commentary. I cannot recommend her highly enough!" "Leslie Bonci knows how to make healthy food fun! First she comes up with topics and information that is helpful and interesting. Then, she presents it in a way that is visual, exciting easy to understand. Leslie is by far one of our best guests on Pittsburgh Today Live on KDKA-TV for her presentation skills, her enthusiasm and also her professionalism. She is organized, prompt and always a joy to work with. " "Leslie Bonci is a great example of someone with many years of experience providing gold standard sports nutrition advice to athletes and active people of all ages. She has a unique ability to take her deep technical and clinical knowledge and put it into simple terms for people to understand in a fun and energetic manner." 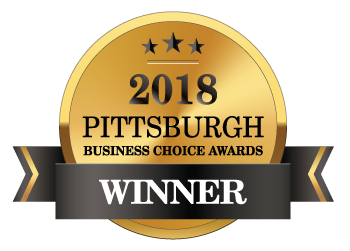 "Leslie provided the University of Pittsburgh outstanding nutritional services for the students athletes for 20 years. Her innate ability to develop relationships with the coaches, staff and students athletes allowed for her to relate and establish fundamental principles for all athletes and their participation in highly completive athletic endeavors." "Leslie is the consummate professional, bringing a palpable dedication and enthusiasm to her work. As an Academy of Nutrition and Dietetics Spokesperson, as a sports dietitian and a media trainer, Leslie has helped countless consumers, athletes and registered dietitian nutritionists alike understand how to translate the science of dietetics into clear and actionable steps to improve lives. She is an asset to every team!"